This dessert is so simple, but the absolute TASTE of summer! 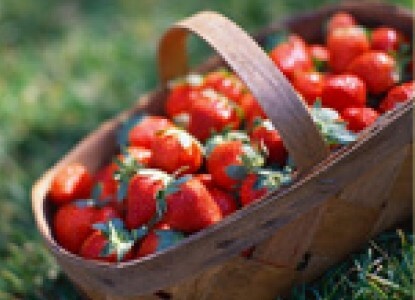 Place halved strawberries in pie shell. Mix 1 cup sugar & flour in bowl, then mix in sour cream. Spread mixture evenly over strawberries, then sprinkle remaining 1/4 cup sugar on top of filling. Bake @ 450 degrees for 10 minutes then 350 degrees for one-half hour (approx.) Serve with vanilla ice cream if desired.